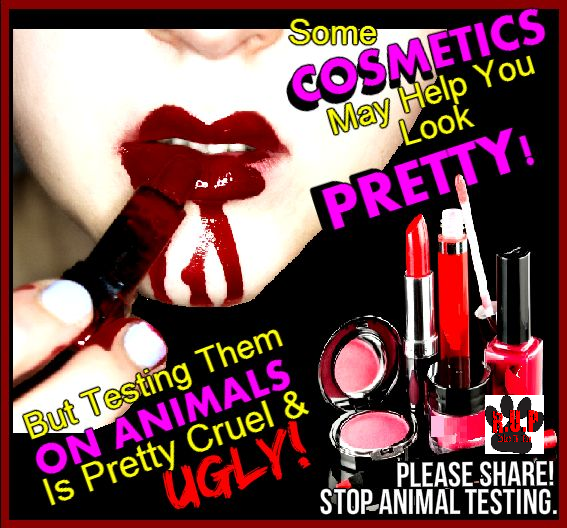 The topic that I have chosen to blog about, is one that I am sure makes many cringe at just the words – ANIMAL TESTING – a heated discussion that has been going on for decades and stirs outrage and sickness within the hearts and souls of many. But there are others that believe that animal testing and experimentation is needed in order to not only save humanity from the countless diseases, illnesses, etc, but to also advance medical techniques – furthering research experimentation... and with these opinions and views of some, I can’t help but wonder if those individuals were to actually observe and be present during these tests and experiments would they still see them in the same light? Let’s take for a moment that the shoe was on the other foot – and it was humans that were being experimented and tested on – against their will of course. I am not just talking about adult humans, but babies and children as well, stripped from their parents and used as test subjects for chemicals and toxins – and subjected to these torturous procedures daily, without any form of anesthetic or pain killers... would we still consider it an OK action to be performed? We are residing within a technological world where alternatives and more animal-friendly methods and strategies can be used so that our voiceless are not undergoing these constant measures of inhumanity and cruel practices - there are even products and cosmetics etc which are not animal tested - so therefore we know that such alternatives can be accomplished & many individuals are moving towards a more animal-friendly choice & purchasing such products in order to save lives and show empathy towards them, instead of seeing them as mere "research tools" that many individuals and facilities are still seeing them as. Together we need to RAISE OUR PAWS & Voices to make a change in the world – establishing a more animal-friendly place to not only reside in, but to leave our future generations as well. 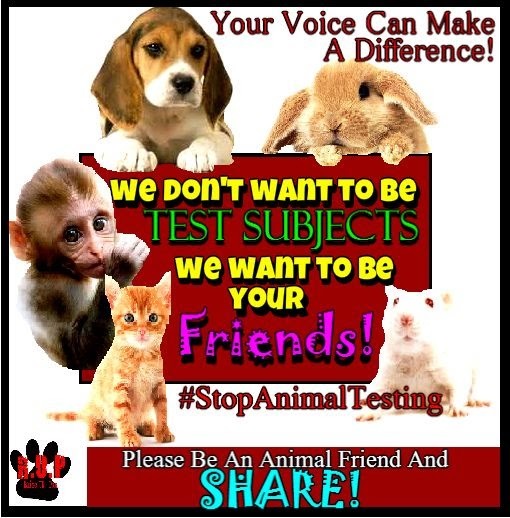 We need to STOP ANIMAL TESTING Together and protect innocent lives from the physical, mental and emotional suffering and torture that they are experiencing for human necessities and products... this violation of their rights/welfare needs to end, and it is up to us to make that difference.